Bethel Church offers support groups throughout the year to help you find hope and healing with others. For more information about any of the groups below, please contact Verona Winkler, Director of Care Ministry, at 701.232.4476 or veronawinkler@bethelfc.com. 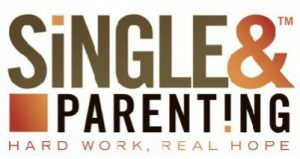 This 13-week course will help you take the guesswork out of parenting alone. Book is $16. No registration required. No childcare available; however, AWANA is offered from 6:25-8:00 p.m. on Wednesdays. Learn more at www.bethelfc.com/awana. DivorceCare is a friendly, caring group of people who will walk alongside you through one of life’s most difficult experiences. Don’t go through separation or divorce alone. This 13-week course will help you deal with the pain of the past and look forward to rebuilding your life. Book is $16. No registration required. GriefShare is a caring group of people who will walk alongside you through one of life’s most difficult experiences. If you are grieving the death of a loved one, consider joining GriefShare. Bethel’s GriefShare facilitator understands what you are going through and wants to help. You don’t have to go through the grieving process alone. This 13-week course meets weekly to help you face the challenges of your grief. You’ll gain access to valuable GriefShare resources to help you recover from your loss and look forward to rebuilding your life. Book is $16. No registration required.